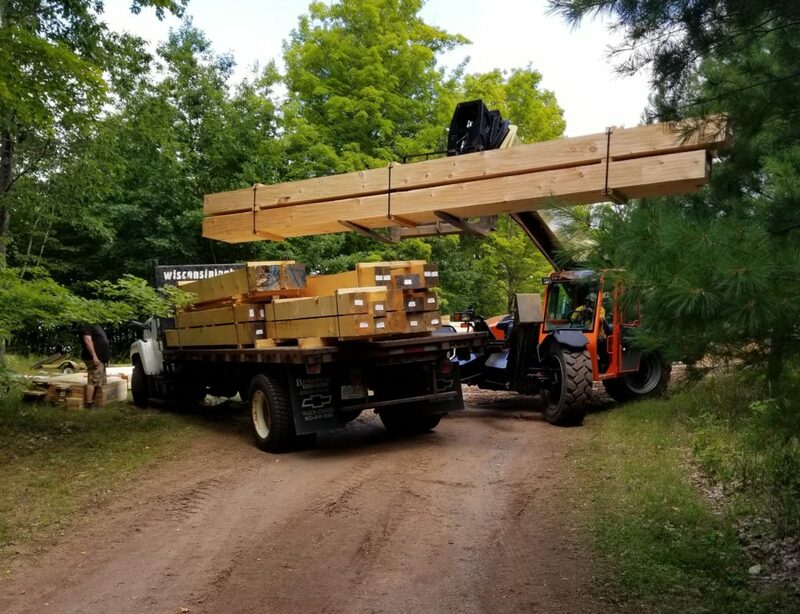 The following outline will help answer general questions about what it takes to get the design and build process underway with The Log Home Guy and Wisconsin Log and Custom Homes. In this step, I will ask you some questions to thoroughly understand your lifestyle, needs and wants, before our team starts designing your home. We will review some plans, design ideas, and photos to determine your design style and taste. Many of my clients find it helpful to create a scrapbook, folder or box full of magazine and internet cut-outs they like and want to incorporate into their design. Many online resources are available to help you build a digital scrapbook. Once I have a realistic idea of what you want in your home, we will work one-on-one with our full-time design department discussing changes and plans that you would like to incorporate into your home design. During this time, I will offer suggestions and options, while keeping your needs, wants, and budget in mind. If we’re starting from scratch with a completely custom plan, I will work with you and the Wisconsin Log and Custom Homes design team to do a Conceptual Plan. This plan should help with envisioning the house. With a conceptual design, we will get the rough layout for your floor plan completed; discuss necessary changes via e-mail, Phone Conference or Online Conference Meetings™, until you are satisfied with the general design. Next, with my instructions and specifications, our full-time design department will draw the Preliminary Plans for your home, including elevations, exterior finish options, window choices, log styles, decorative bracing, and more. Our full-time Interior Designer/Decorator is also available to you at this time, so you’re confident with all your color selections. The ¼” scale Preliminary Plans usually take about 1-4 week(s) to generate. I will then return the plans for your review, address questions or concerns, and make any further changes. If revisions are necessary, we will usually have the changes back to you in about 2 weeks. 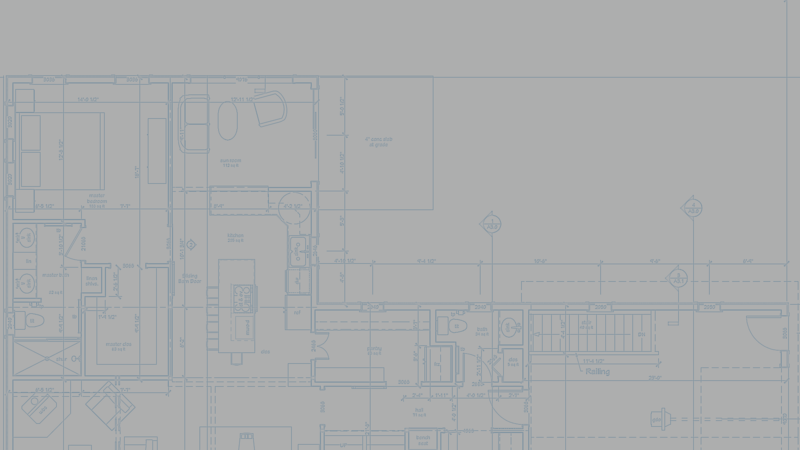 Preliminary blueprints are drawn to 1/4" scale and include elevations and finished square footage as noted on The Preliminary Plan Order Form. The design retainer (calculated at $1.50 per square foot) will be divided by the hourly design rate of $75.00 per hour to calculate the initial amount of design time that can be used by the customer towards the creation and development of their custom preliminary blueprints; including but not limited to any conceptual drawings, revisions, or optional 3D renderings that you may need or want. Additional hours of design services beyond the allocated design retainer will be billed at a rate of $75.00 per hour as the work is completed. Preliminary plans do not include foundation plans, cross-sections, engineering, framing plans, HVAC, electrical, plumbing, or site designs. Site visits are normally not required, but if necessary all additional costs associated with travel and lodging will be billed directly to you and will be non-refundable. Wisconsin Log and Custom Homes blueprints may only be used by you for construction of a Wisconsin Log and Custom Homes material package. This design retainer does not include, nor bind, any guarantee of final construction drawings. You will be credited the above design retainer and will receive final drawings, based upon preliminary design, for the construction of your Wisconsin Log and Custom Homes plan only with the purchase of your Wisconsin Log and Custom Homes package. Depending on who is doing the project management, this is the next step. I will distribute the plans to the contractor(s) of your choice. I can complete the home for you turnkey, or help you with contractor selection. If you have the skill set and time, some clients choose to complete portions themselves. Wisconsin Log and Custom Homes have a qualified National Builder Network™ if you do not have a contractor in mind, but want to use someone more specific in your area. I can assist you in the selections process and would be able to provide you with references for the builders we refer to you. It usually takes about 3 to 6 weeks to get the bids returned from the contractors, depending on the size of your home. I will help with any questions or information the builder needs to submit an accurate proposal, and can also assist you in reviewing this information. At this time, I will also be able to generate a contract price for your Wisconsin Log and Custom Homes material package. When you are satisfied with the Preliminary Plans and the features of your home, the next step is Final Construction Drawings. If changes to the plans are necessary at this time, I will also make them with you at this point. We will require a signed Contract with a 10% Down Payment on your Wisconsin Log and Custom Homes Materials Package. The down payment will allow the Wisconsin Log and Custom Homes drafting staff to generate your Final Construction Drawings. It usually takes 2-5 weeks to produce the Final Construction Drawings and have them Reviewed and Estimated for Production. I will also begin the scheduling process with the selected contractor (i.e., site preparation, well/septic, foundation, etc.) to prepare for the construction of your home. When the final construction blueprints are complete, and you are approximately 90 - 120 days from the start of construction, we require 50% down to lock in your order and produce the custom materials for your home package. During the 90 day lead time for materials and delivery, the contractor will start preparing the site for construction. Wisconsin Log and Custom Homes we will begin production and ordering of all materials and products. The remaining balance is due upon first delivery of materials. This distribution will consist of all the rough framing materials, floor systems, and roofing materials. The next shipment will include windows, doors, logs, stair systems, etc. and will be scheduled with the general contractor as needed. 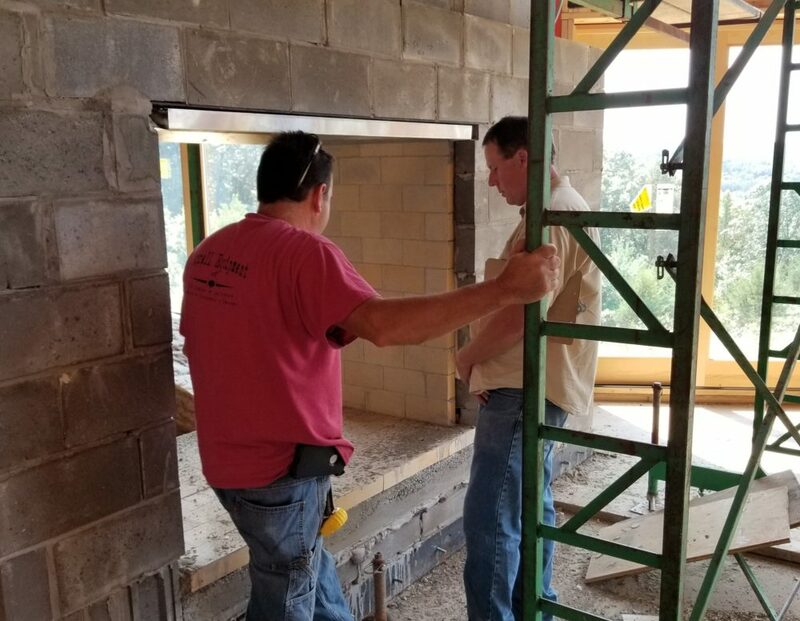 If I am your General Contractor, there are several different types of contracts we can discuss to see what best fits for you and gives you the best level of comfort. Permitting requirements vary from place to place. My team and I research and determine what permits are required, we then complete and submit the necessary permit applications. I use a series of spreadsheets to track costs and detail budgets. Typically project scheduling is managed with Microsoft Project. All subcontractors are selected, and the information is detailed in Microsoft Onenote. Comprehensive spreadsheets are used to track certificates of insurance, insurance expiration dates, lien waivers, draws, payments, balances and work in progress payments. If you’re using a title company or bank, I work directly with them to see what formats and methods they require for their system. If you or someone else is doing the project management, I will provide you with any input on your request to help your project progress smoothly.